SIGNATURE @ LEWIS is located at 1 LEWIS ROAD in district 10 (Bukit Timah, Grange, Holland) of Singapore. SIGNATURE @ LEWIS is a Freehold Condo development consisting of 23 units. 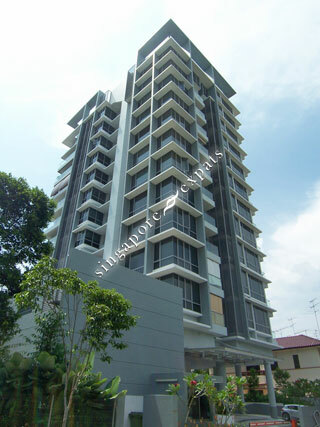 SIGNATURE @ LEWIS is completed / TOP in 2011 (estimated), developed by GUAN HUE DEVELOPMENT PTE LTD (HIAP HOE GROUP). Educational institutions like CHINESE INTERNATIONAL SCHOOL, SAN YU ADVENTIST SCHOOL, ISS ELEMENTARY & MIDDLE SCHOOL, SINGAPORE CHINESE GIRLS' PRIMARY SCHOOL, ANGLO-CHINESE SCHOOL (PRIMARY) and NANYANG PRIMARY SCHOOL are near to SIGNATURE @ LEWIS. SIGNATURE @ LEWIS is accessible via nearby STEVENS, BOTANIC GARDENS and FARRER ROAD MRT Stations.